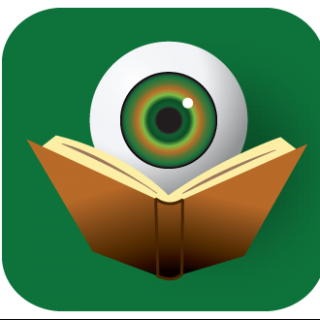 Academic mysteries are popular enough that they practically constitute a sub-genre of their own. With her debut novel – The Semester of Our Discontent – Cynthia Kuhn adds another winning entry to that ever-expanding category. 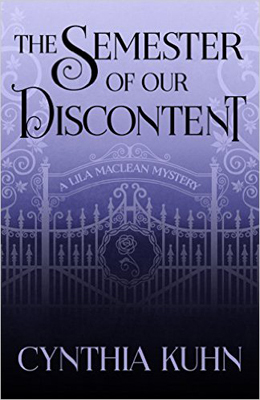 The Semester of our Discontent features professor-turned-amateur sleuth Lila Maclean. Lila has just started a new job at Colorado’s Stonedale University when a hostile encounter with the head of her department causes her some distress. When that very individual later turns up dead, her distress becomes outright anxiety as she becomes one of the prime suspects involved in his demise. The attacks against professors continue until ultimately someone is taken into custody for the crimes – the only problem is that person is one of Lila’s few allies at the University. Unable to allow an innocent person to be blamed, Lila uses her scholarly research skills to expose the truth. Cynthia Kuhn has a very relaxed and readable writing style. Because of this, binge reading this first novel in a new series will be almost impossible to resist. The wealth of suspects will keep readers cramming just a few more pages in before bedtime. Along with a satisfying mystery plot, Kuhn also manages to seamlessly incorporate some real-life concerns of academia into the plot. There is much discussion of the placement of women writers in the standardized canon of literary study. Woven into that conversation is also examination of genre fiction as somehow “less than.” The traditional model of publish or perish comes into play as well, along with the possibility of a secret society within the school community. The Semester of Our Discontent is Lila’s story, but Cynthia Kuhn wisely surrounds our heroine with a varied collection of secondary characters. As the series continues, many of these are sure to become fan favorites. As one might expect, there are some possibilities for future love interests within this cadre. Other characters, such as Lila’s mother, remain off the page here, but will hopefully play larger roles in Lila’s future exploits. Cynthia Kuhn has written a traditional mystery that will appeal to fans of true cozies, as well as those who prefer just a slightly tougher edge to their crime consumption. As the start of a series, The Semester of Our Discontent nicely introduces readers to the setting and those people who inhabit it. Most readers are sure to return for Kuhn’s sophomore effort. Thank you so much for reading and for sharing this review, Kristopher!